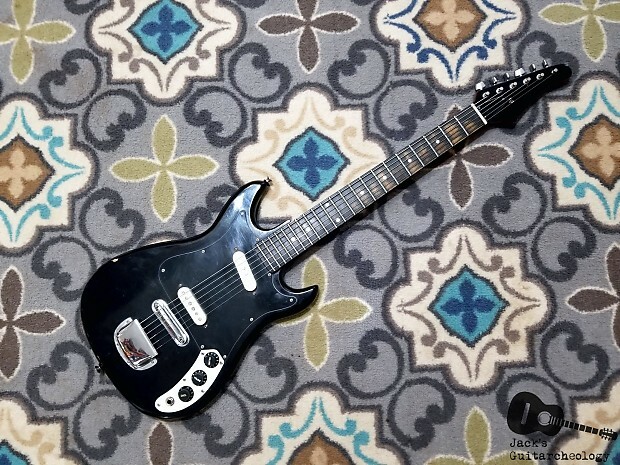 For sale here is one of the first Cort electric guitars, made in Japan. 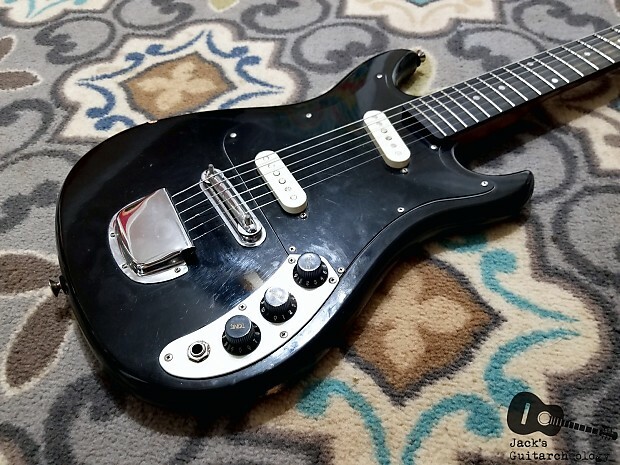 Made by the same holding company that made Teisco, Harmony, Silvertone, etc (Matsumoku) This was one of the first gen Cort's and thus is looks more like a Harmony H-804. This thing is great. 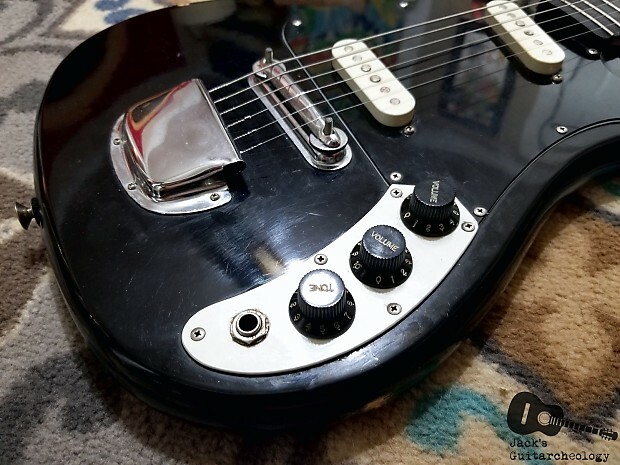 To me, the style looks like an H-804 meets a Fender Jaguar. The finish is nicely worn, but not beat to hell. 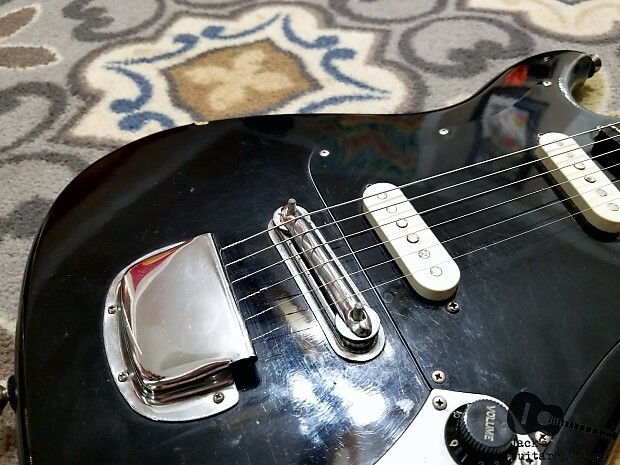 The pups have a tone that is halfway between a single coil and a P-90. Super sweet clean tone. 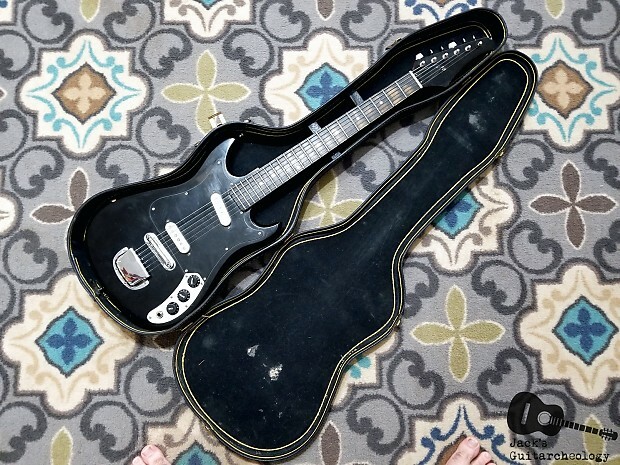 Great for surf or garage. 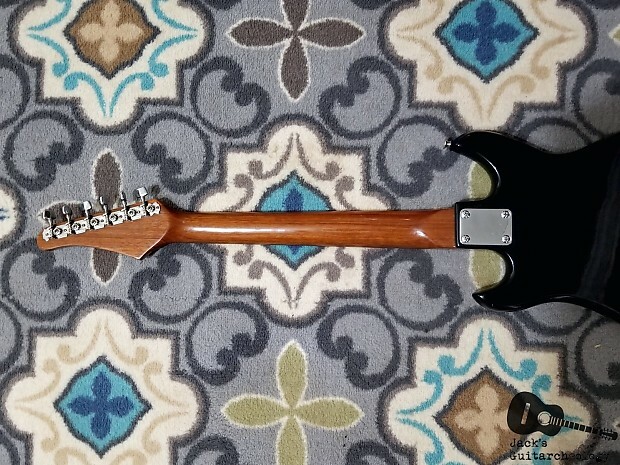 The shining star of this guitar is the beautiful mahogany neck. The back of the neck is a beautiful dark red/brown and it looks fantastic with the black finish. The neck also feels great. The action is low and comfortable. 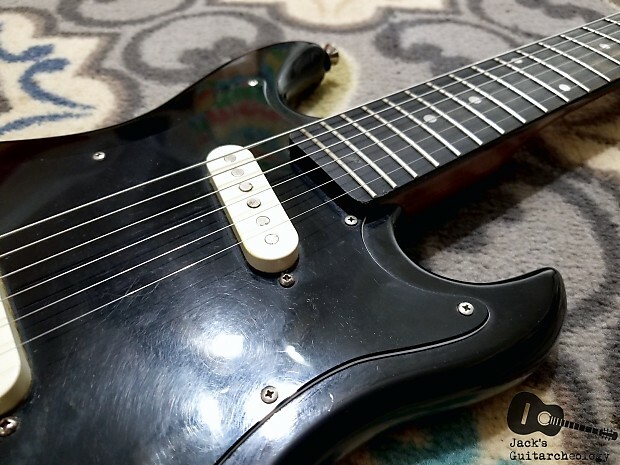 As always, I cleaned it up, polished the finish, oiled the board, changed the strings, cleaned the electronic components and set the action as low as I could. 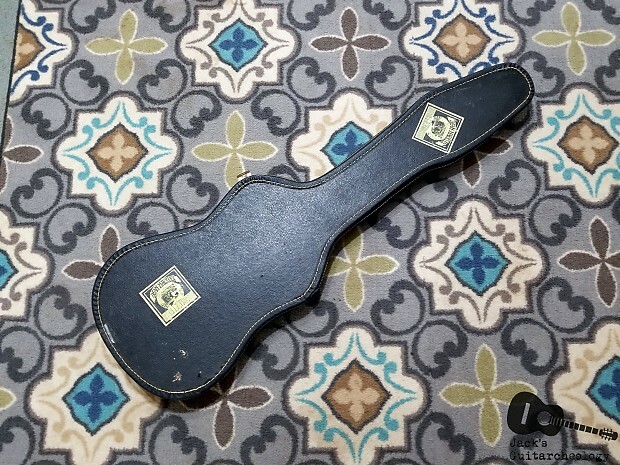 This guitar comes with the original chipboard case. I will ship with tracking to the listed regions. To negotiate shipping rates to other locations, please send me a message. Items will usually ship within 2-5 business days. If it will be longer than that for some reason, I will send a message to notify the buyer. I frequently tour and go out to play music on weekends or for a week or so at a time, as I am also a professional bass player. I only take my store down when I am going to be gone for a week or more. So, you might buy something that takes a little more than the aforementioned 2-5 business days if I am out on the road. I will ALWAYS notify the customer if shipping is going to be delayed for any reason, and if this poses a problem, refunds will be considered on a case by case basis. I AM NOT RESPONSIBLE FOR DAMAGE INFLICTED IN TRANSIT! I do not feel as though it is my place to pay for Fed-Ex or USPS's mishandling of their cargo. Every package I mail is insured, and if your product is damaged in transit, I will glad to help you call the carrier and get your insurance payment. 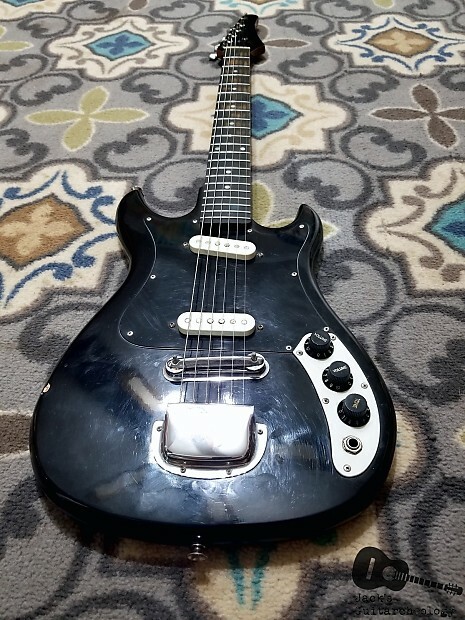 I have been packing guitars and shipping guitars for over ten years, and this has been a problem maybe twice, but both times Fed-Ex tried to claim that it was my fault/the product was shipped improperly so they would not have to make good on the insurance pay-out that I pay extra to have. All of my packing jobs are double checked and shake tested. I am very meticulous about packing. I am a reasonable guy and might make exceptions to this rule if I feel as though I have made an error, but I refuse to pay for someone else's mistakes. Remember, anytime you get a guitar shipped (not just from me), you take the risk of it breaking or losing it. Buyer assumes ALL shipping when dealing with returns. I.E. Once the item is purchased and shipped, the shipping has been spent and is non-refundable. You will be refunded the total of the item sans any applicable fees, but not the shipping. I feel this is only fair, as I do not feel responsible to pay the initial shipping cost of returned items. 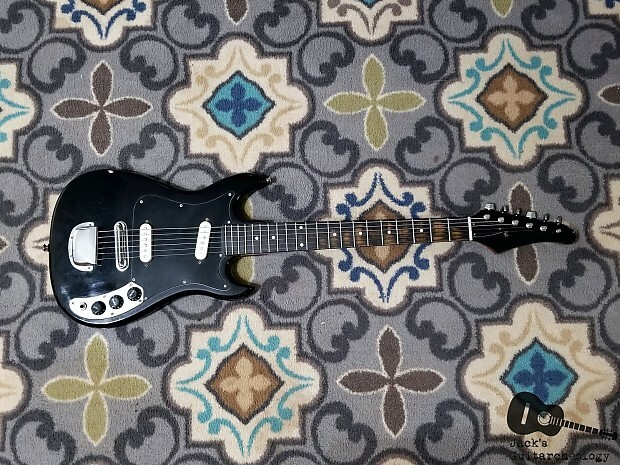 Most of my used items have a 7 day return policy (as is standard by Reverb.) I rarely sell new items, so 14 days on new items is solely there because it is Reverb's standard policy. If the return is due to an error of my own, I will be glad to help you pay costs, because I am a reasonable guy and I like to do business fairly. 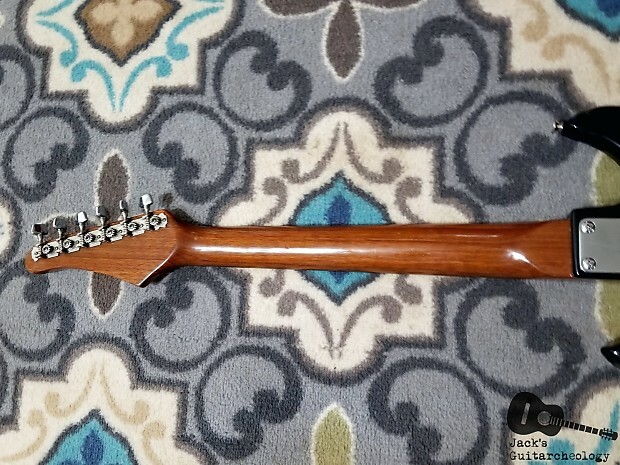 If the restocking is a major hassle, OR I did any special work to the guitar or took any special measures in the initial shipment, I reserve the right to hold a 15% restocking fee to compensate me for any extra time I spend on the order. I will reserve the restocking fee for complicated or time consuming returns only. 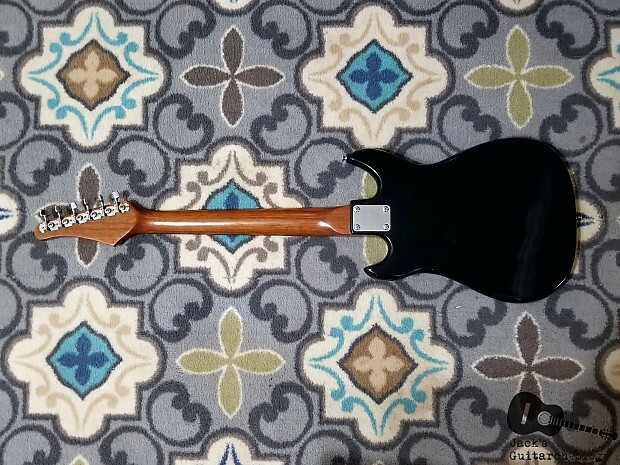 Vintage and dime store guitar disclaimer: vintage and dimestore guitars were made in America, Japan or another country 50+ years ago to be sold in a dime store catalog such as Sears, Western Audio or Woolworth. 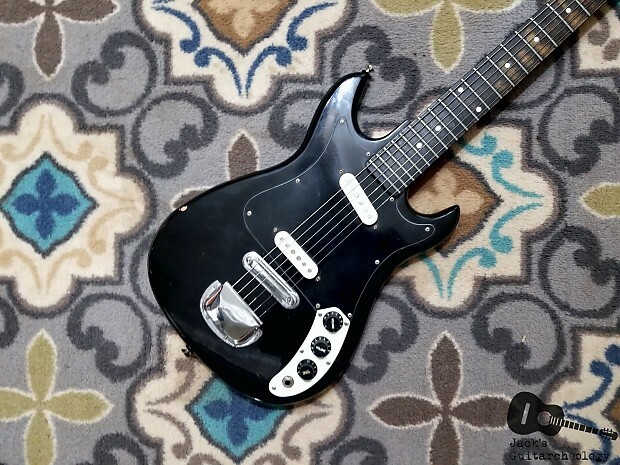 These are not, nor will they ever be, modern, boutique or factory guitars. 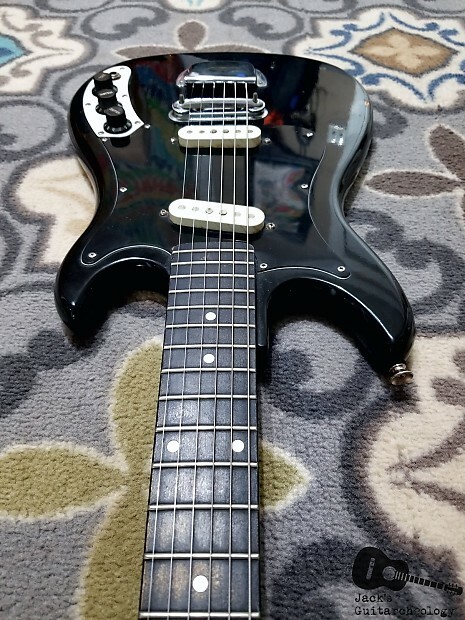 Guitars like these are full of unique character and warm, full tone. They usually provide a great niche sound and make for an excellent conversation starter. However, they will never set up, intonate and play like a modern guitar. 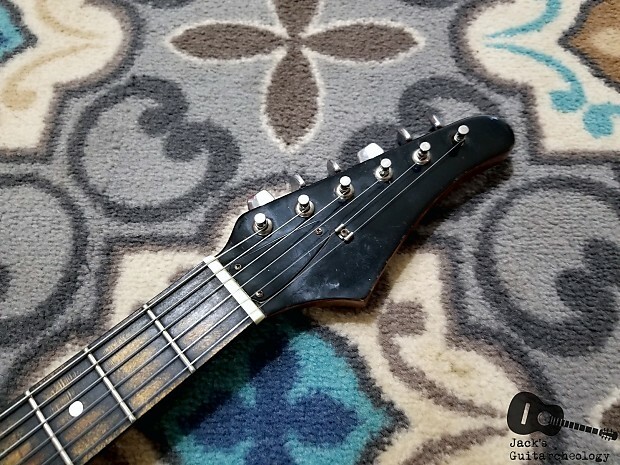 The necks didn't have adjustable truss rods, so they usually lean a little one way or the other over time, causing the action to be a slight bit higher than what most modern guitar players are used to. This does not mean they are defective or inferior, they just have character. If a guitar is unplayable or the action is outrageously high, I will expressly say so in the ad. I would highly suggest reading and doing a little research BEFORE you buy. 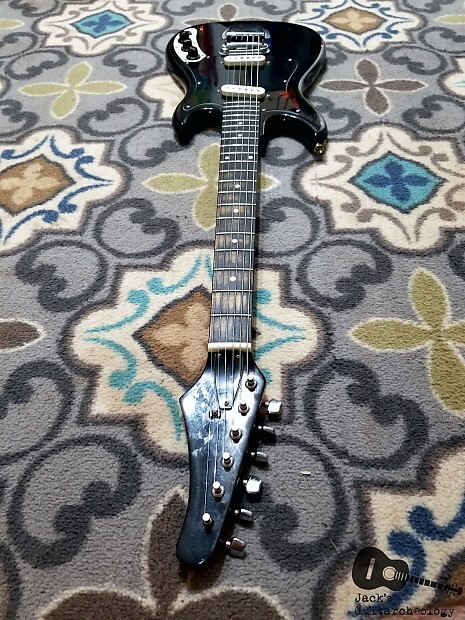 Please, feel free to love these guitars as much as I do, just remember that if you bought a 1950s Cadillac, you wouldn't expect it to have heated seats and XM radio. 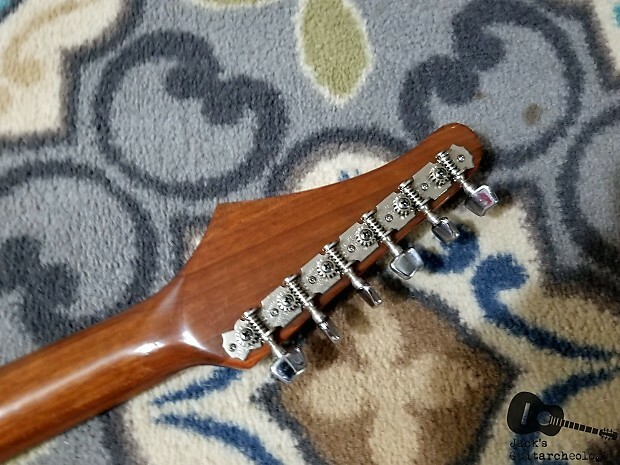 As a result of a few too many cases of people returning dimestore guitars due conditions I just described, I will now be omitting any guitar made before 1980 and/or guitars that DO NOT have an adjustable truss rod from my returns policy beginning on May 11th, 2017. These items will be marked "as is" from now on regardless of condition. GLUED DOWN FLOATING BRIDGE DISCLAIMER: Parlor and other "dimestore" guitars with floating bridges often have the bridges glued down to prevent slippage and sliding while strumming. 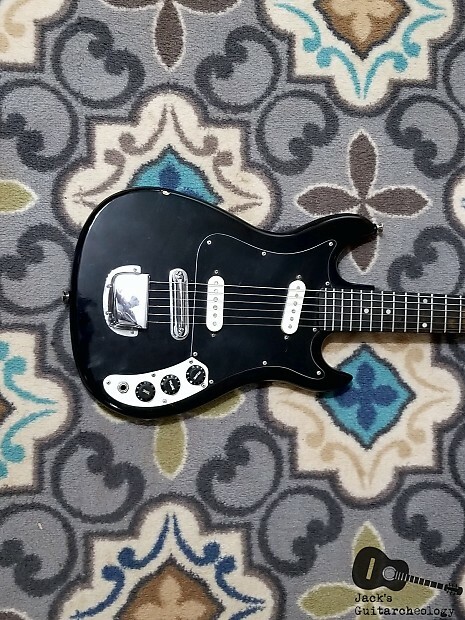 Even though this is not a factory spec, over half of the dimestore and parlor guitars I sell have this mod, as it was about the most common mod on these guitars -- so as of 12/03/2018, "as described" pre-1980 dimestore guitars mentioned in the previous disclaimer WILL NOT be eligible for a refund because the floating bridge is glued down. 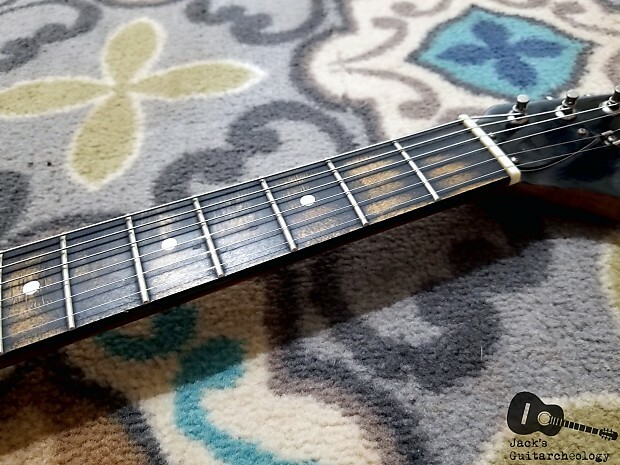 I feel that this mod is so common that it does not need to be expressly mentioned, and I will ALWAYS fix the positioning if the bridge is glued in the wrong place for intonation. Due to the large amount of costs and hassel involved, as of 12/20/2017, all international shipping charges are non-refundable; even if you return the item, you will only be refunded for the price of the actual item, and only if it makes it across the world and back to me in once piece. Please do your research and be absolutely sure before ordering internationally. Thanks for checking out my shop!